The Mobeye PowerGuard is strong in simplicity and functionality. This GSM detector informs you in the event of a power outage with a telephone call and an SMS message. Up to five numbers can be programmed in this 'Voice and SMS device'. The power supply can be monitored by plugging the supplied power adapter into an outlet. It is also possible to directly connect a 12VDC voltage source to the voltage input. As soon as the power is lost or the power supply just recovers, a message will follow. An indispensable GSM control unit if the power supply is vital! 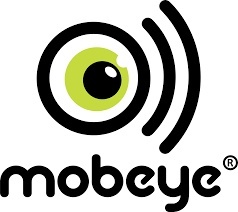 The Mobeye PowerGuard has two additional inputs. Devices or external sensors can be connected to this. In this way, various situations can be monitored, such as the functioning of a machine or the activation of sensors. The inputs are make or break contacts, suitable for (window / door) magnetic contacts, a water float, an on-off contact, etc. In a simple manner, various settings are configured via SMS messages. These settings include alarm delays, inactive time after an alarm, repeat times for alarm messages, keep alive messages, free texts, etc. You must insert a SIM card from any provider into the module yourself; Mobeye recommends using a 'subscription card' for this purpose. A pre-paid card also works, but then the user has to keep an eye on the credit. Perfect apparaat, werkt meteen zonder problemen. Duidelijk handleiding wat t programmeren makkelijk maakt.